Having established itself over five beautiful years, Unicca Group is recognized as one of India's leading Real Estate Company. The company now has a strong presence in Bengaluru city in India. 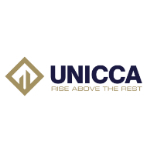 Quality, innovative technology, comfort, aesthetic appeal and maximum value for your money are few attributes that enrich Unicca Emporis with the belief that people have entrusted in them. Unicca’s prophecy is to be known as the premium real estate developer with a conscience where trust, social responsibility and transparency drive our decisions. Where the customer is our primary concern and through extreme luxury, innovative technology and quality execution, we make an aspirational lifestyle their reality.